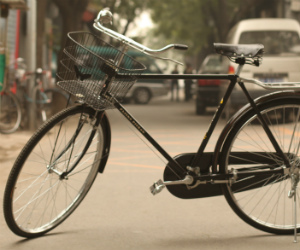 Could you use a bicycle to improve business? One real estate agent has ditched what many of his colleagues consider an essential marketing tool in an effort to align himself with a growing number of urban buyers and sellers. Baskinki has been capitalizing on that brand, posting photos of his bike around town to his Facebook page and even hanging a sign from the crossbar of his bicycle. In addition to enjoying media attention, Basinksi’s particular brand has also gained a lot of traction among consumers, particularly in the downtown core of Toronto where he’s most active, and where many commuters opt for two wheels rather than four. But urban markets have encouraged real estate brokers to distance themselves from competitors in other ways. Carl Langschmidt, who also goes by the moniker Mr. Loft, owes his stronghold on the loft market to his brand. Langschmidt says that brand pulled him into a more specialist direction, which he believes gave him an edge over other agents in that space. On the other hand, Basinski says he understands that his form of hyper-specific branding could alienate some clients, but Langschmidt says specific branding isn’t all bad. “The reality is you get a bigger slice of a smaller pie,” he says.